The importance of English is increasing day by day. Everyday, there are a lot of people who take courses like IELTS, TOEFL and other English Speaking Courses. In English Tests, there is a module of writing. In this you have to write some paragraph or essay on a given topic. While writing this topic, you are not supposed to fill your whole paragraph or essay with simple sentences and repeating them again and again.. The use of complex sentences in paragraphs or essays is essential. 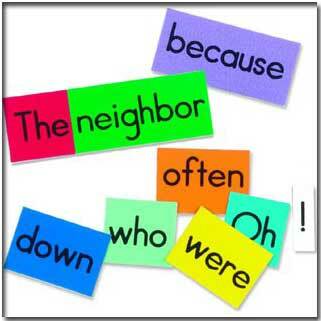 The use of complex sentences is not only crucial in English Language tests but also in classroom. Where teacher use to teach English to students. This article throw a light on what are complex sentences exactly and how students can develop more complex sentences with a free online tool or software. So this article will be useful for teachers and students also. Teachers can suggest the use of this free software to their students and can also practise themselves. In this sentence, the first part that is 'The lunch was burned' is a complete independent sentence so this part is independent clause. The 'because' works as a connector that is conjunction and the last part is 'he had forgotten it' is not a complete sentence in itself as it doesn't make any sense. So it is the dependent clause. Now, you have a basic idea of what complex sentence is exactly. Now, to learn more about them and to be a master in creating complex sentences, here is the best online software for you to try. This tool is 100% free to use. It basically a website which works as a software or application. Following is the URL to the tool. Just visit this website and you will see a blank white page with examples of complex sentences. Now click on sentences to get more complex sentences. Hope you will like this tool.